I’ve never ridden on a motorcycle; I’m too risk averse for that. I’m not part of the biker culture either, but it’s aways fun to see and partake, even at the periphery, events with so much passion. Bike owners, especially Harley owners love their machines. 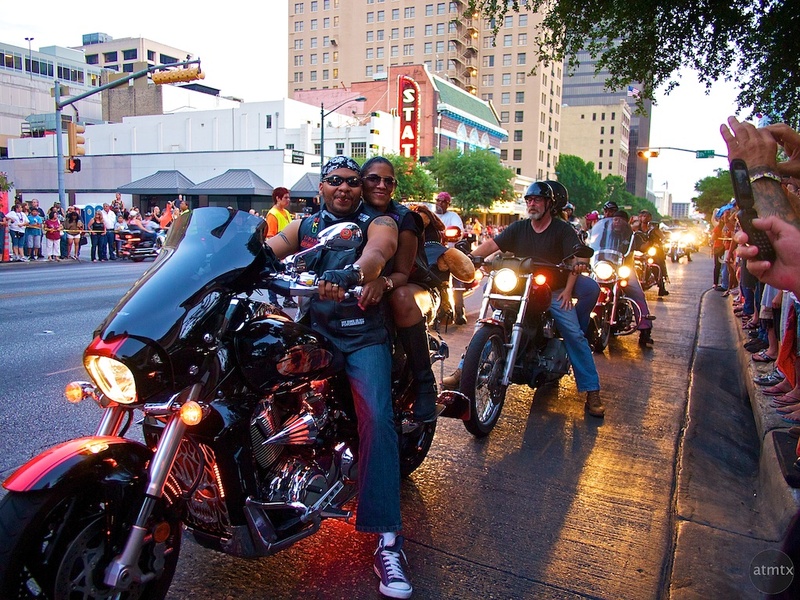 That’s why going the ROT (Republic of Texas) Biker Rally is one of my favorite events. I’ve featured a considerable number of blog posts from it (see below). The ROT Rally actually happens at the Travis County Expo Center, ten miles east of downtown. My coverage centers around the downtown parade that usually happens on Friday. The downtown event is a good way to experience a toned down version of the rally and for free. There’s the parade itself, which goes down Congress Avenue and the many street photography opportunities around 6th Street. 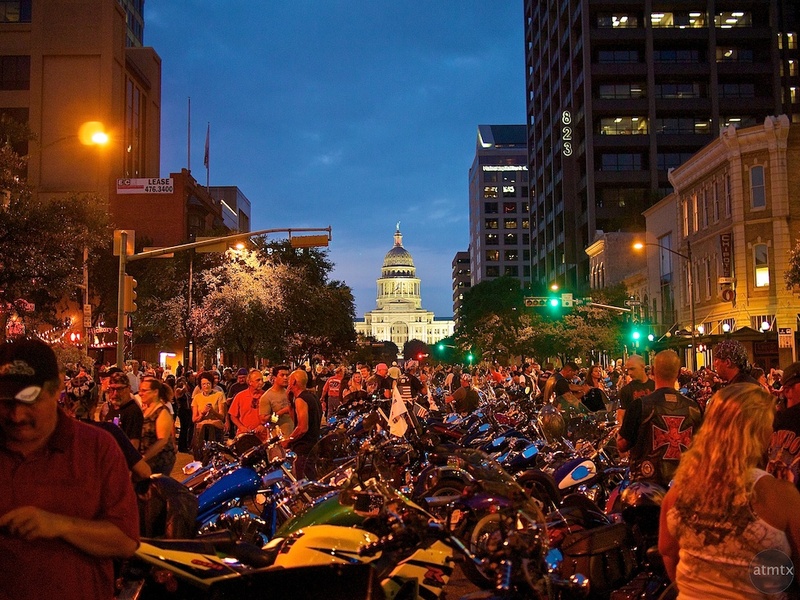 From in front of the State Capitol at 11th and Congress Avenue, the biker parade runs south on Congress to about 4th Street and loops back up. The riders then park their bikes in the center of the street. You can see the area on the map. I like to stand across from the Paramount Theater to shoot the parade. 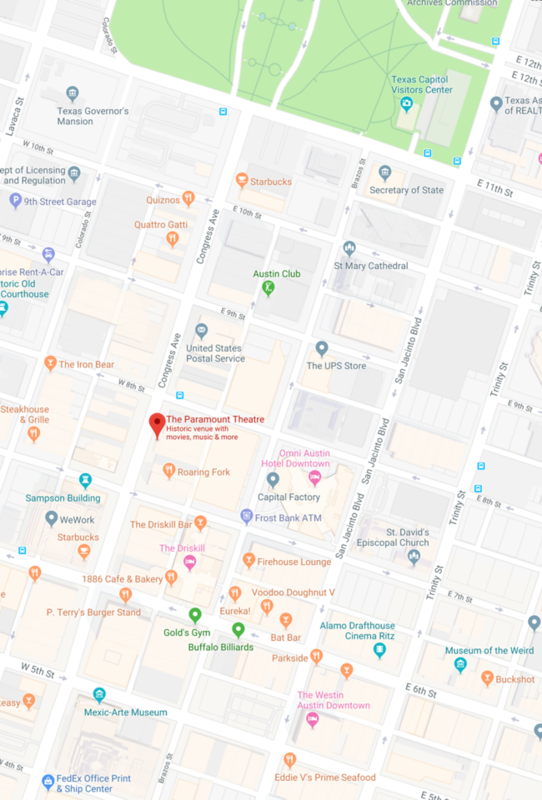 Here’s a Google maps link to the Paramount Theater. In and around 6th Street, east of Congress, you’ll have good opportunities for street photography and seeing hundreds of bikes lining the street on both sides. Continue below for the type of photographic possibilities. I first went in 2012. 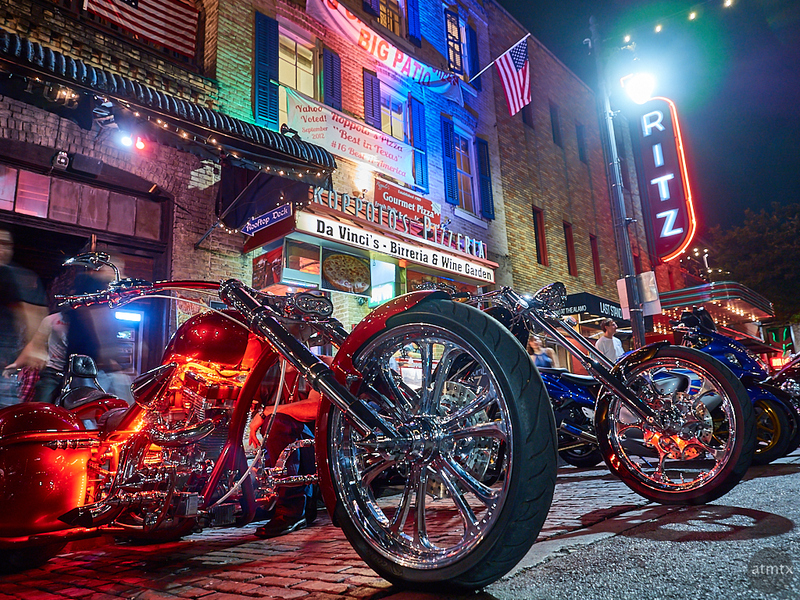 Back then, I was firmly in my HDR photography phase, and those colorfully lit bikes at night made for some great photography. I used a tripod back then, but I can now make very similar shots handheld with my Olympus cameras featuring in-body image stabilization. 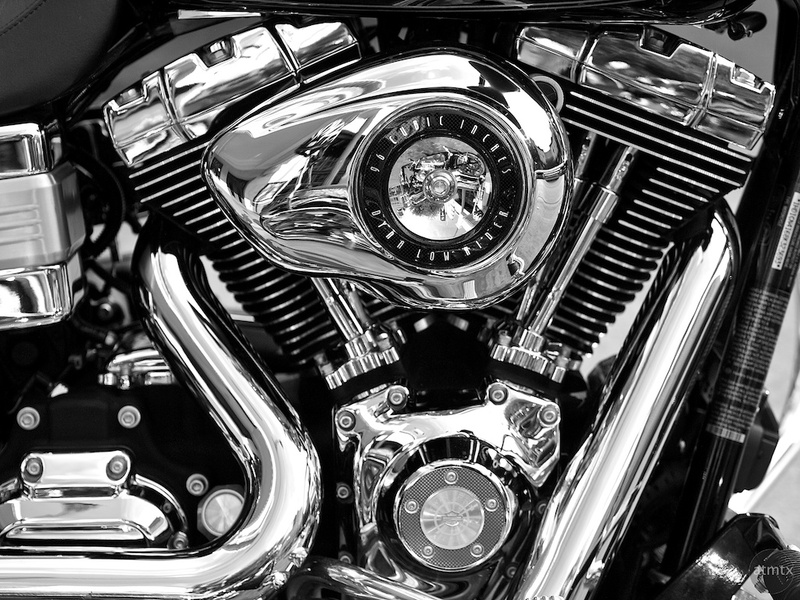 I’ve also made black and white “artistic” images of those ultra-shiny Harley’s. 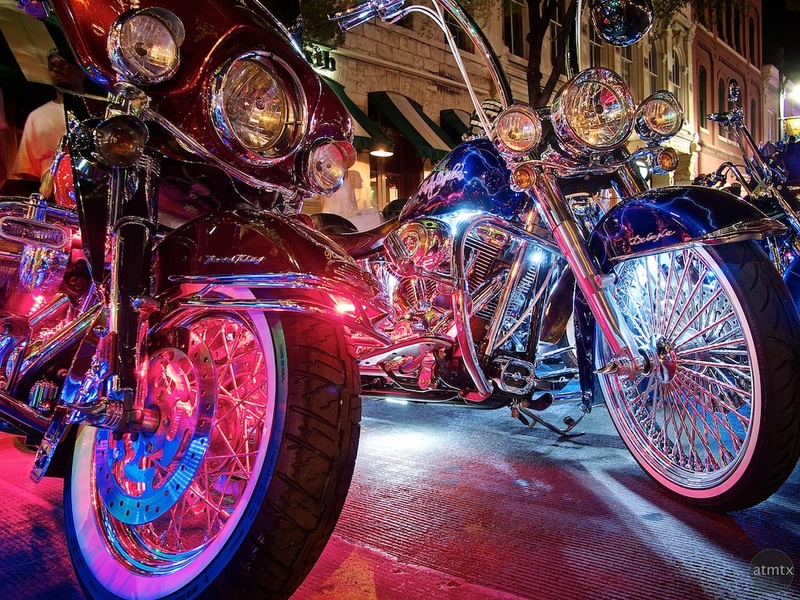 Proud Harley owners shine their babies to perfection. 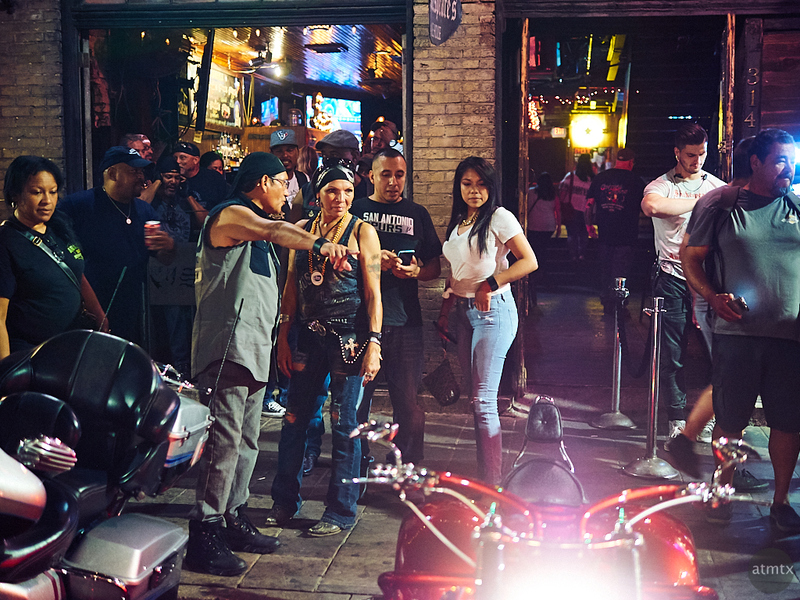 The bar scene on 6th street is always ripe with street photography and even more so during that Friday, before and after the ROT Parade. 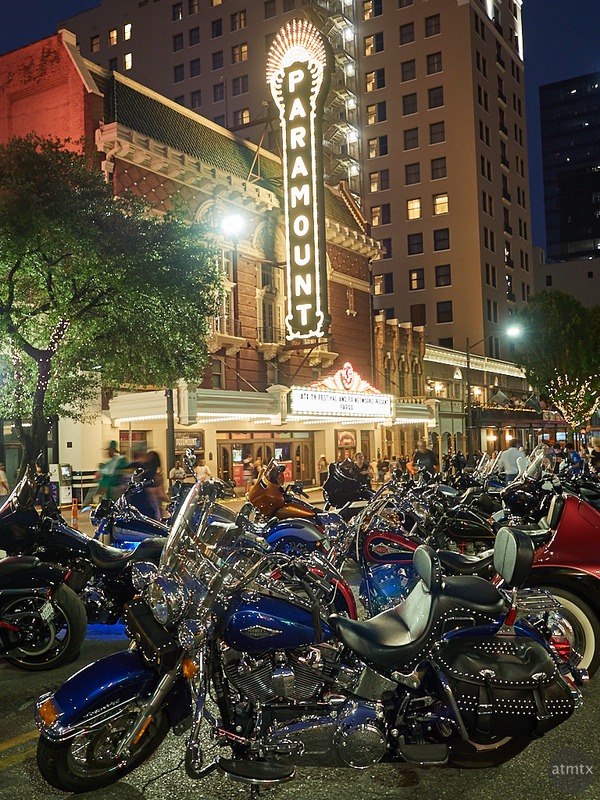 Capturing the bikes in front of the Paramount Theater on Congress Avenue also makes for a nice image as well as the Texas State Capitol in the background. 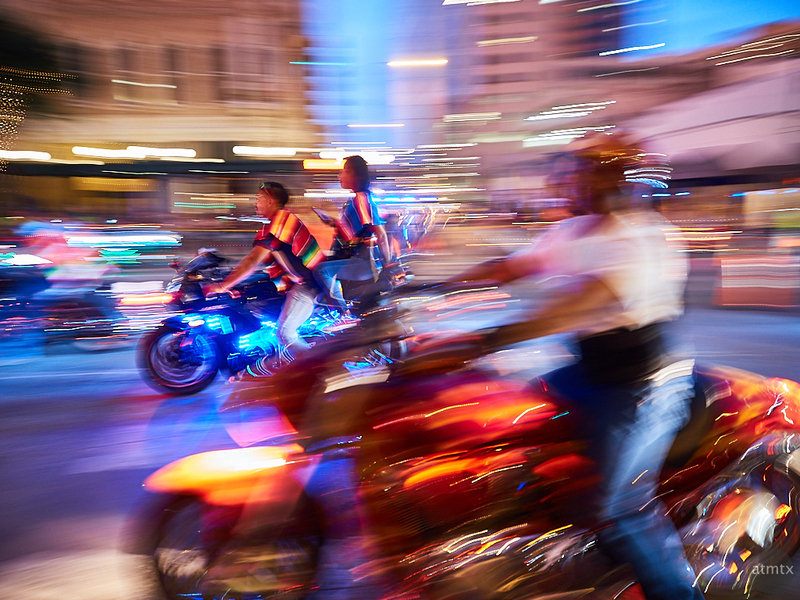 The centerpiece of Friday is the parade featuring hundreds of motorcycles which conveniently come though around blue hour. I’ve shot them both using motion blur and with fast shutter speeds. There’s many photographic possibilities, as you can tell. Recommended if you like the urban environment, amped up even more than usual, during this once a year event. Click on these link to see the blog coverage from each year. Then click on an individual post for the photos and stories. As you can see, I’ve blogged a lot about the ROT Rally.